Global warming environmental activist Bill McKibben was arrested in front of the White House in a Keystone XL protest. 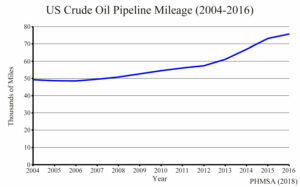 Senator Barbara Boxer warned that the pipeline would cause cancer in more Americans. In November 2015, President Obama rejected the project, stating, “America is now a global leader when it comes to taking serious action to fight climate change. And frankly, approving this project would have undercut that global leadership.” In January 2017, President Trump reversed the Obama rejection and signed a memorandum to advance the Keystone XL, which should begin construction later this year. 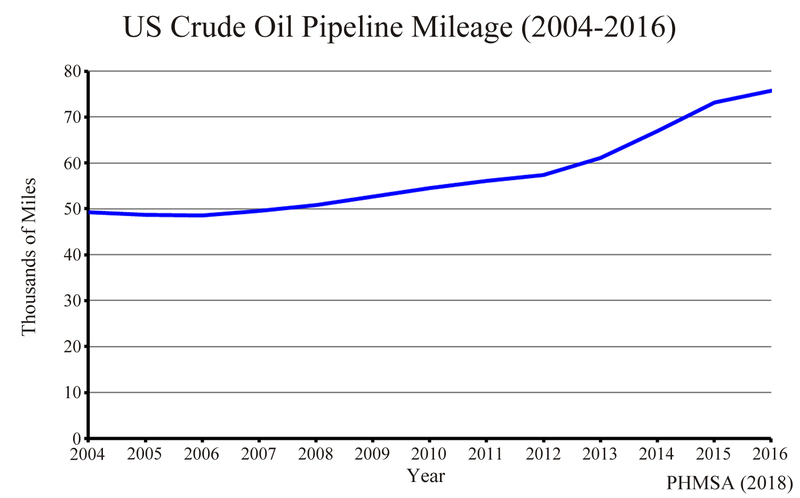 The Dakota Access Pipeline, a project to carry crude oil from North Dakota to southern Illinois, was announced in June 2014. The pipeline was opposed by Native Americans and other local groups, but also by national and international groups including Amazon Watch, Black Lives Matter, and Greenpeace. 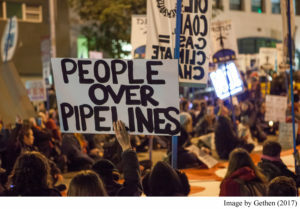 St. Louis, Minneapolis, and 17 other cities passed ordinances opposing the pipeline. Celebrity Leonardo di Caprio, Senator Bernie Sanders, and even United Nations officials called for a halt to the pipeline. In the spring and summer of 2016, a camp of over 3,000 protesters developed in the path of pipeline construction in Cannon Ball, North Dakota, and received international media coverage. But between September 2016 and January 2017, the camp was cleared by police with about 200 protesters arrested. The pipeline began operation in May 2017 and now transports over 500,000 barrels of oil per day. 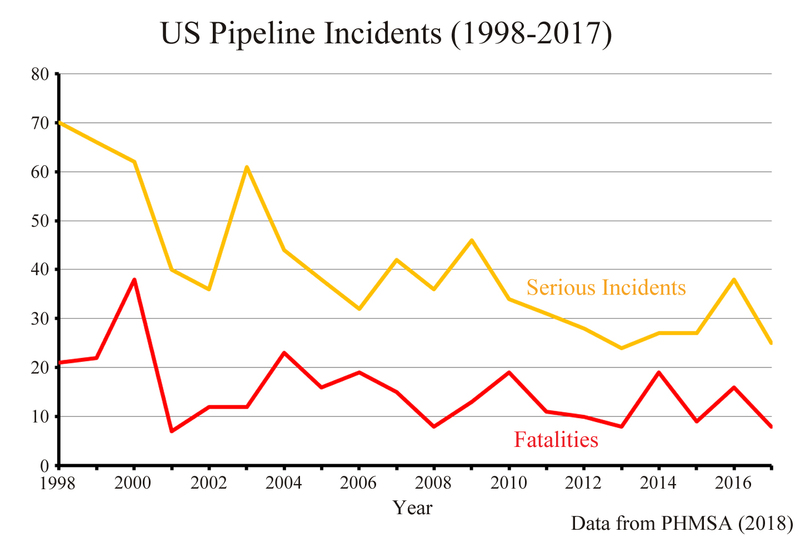 PHMSA data also shows that the number of serious incidents and fatalities experienced by US pipelines is down roughly 50 percent since 2000, despite the expansion of oil and gas pipeline networks. US residents have about double the chance of dying from a lightning strike than a pipeline accident. Steve Goreham is a speaker on the environment, business, and public policy and author of Outside the Green Box: Rethinking Sustainable Development, previously reviewed at MasterResource. The sad part about that is I survived several outages here in Maine that many of our older citizens did not survive, and only the government is to be blamed. The loony left that truly has been brainwashed by the climate alarmists are doing this to us. Remember when the doctor that organized Obamacare said i a lecture that the American population was too stupid to know the truth? Well this is the same thing. I’m 60 years old and I’ve seen reports of many protests and protest marches. Very few have ever had any impact on the public or led to actual change. Mostly, they’re an exercise in futility and only serve to make the protesters feel better, or angrier, whichever is the desired outcome for the person. Protests fail because they don’t cost the target anything at all. The protests are short-lived, and those taking part have nowhere else to be anyway. They don’t present a cost to the local or national economy. Unless there’s a cost, no one in power will take any notice. . Strikes have an effect on business and practices because they cost the targets money; protests don’t. Great article, Steve. I wish we could say the same thing in Canada. In fact, the combined efforts of environmental radicals and the current Trudeau government have blocked the construction of two major oil pipelines, the previously proposed Northern Gateway Pipeline from Alberta to the Pacific coast and the Energy East Pipeline from Alberta to the Atlantic coast. The environmentalists, with the strong support of the socialist British Columbia provincial government, have worked for years to block the construction of the Trans Mountain Expansion Project, a Kinder Morgan pipeline, and may yet achieve this, notwithstanding the semi-cool support of the Trudeau government in Ottawa. The Trudeau government has gone further, and radically transformed the National Energy Board’s previously objective and professional review of proposed pipeline projects into one that first considers the “acceptability in principle” based on climate policy. It has significantly lengthened and made more complex the already quite long and complex system of environmental assessment and review. The environmentalists have succeeded here because they are well funded by American as well as Canadian foundations, and they have used a steady steam of false claims about adverse environmental impacts associated with the projects. 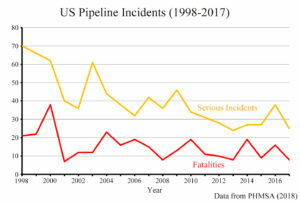 On virtually every issue – the probability and impacts of spills, the adequacy of response systems, the safety and reliability of pipeline construction and operation, the effects of pipelines on animals and fish, etc. – the opponents have endlessly repeated false claims, and the media has rarely if ever challenged them. If our experience is any indication of the future, Americans should not take lightly the nature of the threats posed by these ideologues.